Financing consultation make it easy to get the new home of your dreams! Mortgage rates today are at a 40-year low! That means that most people can qualify for a larger mortgage today than ever before. From our years in business, we have forged solid relationships with lenders in the St. Charles and surrounding areas. We can put you in touch with lending experts with a wide range of options, such as First Time Homebuyer Loans, FHA or VA loans, and In-house home loans make financing your next home a snap. At First Choice Homes we can offer site selection consultation on the home plan you're interested in. Or, we can help you identify the perfect home plan for your dream site. What's more, we can help you consider site aspects, such as drainage issues, landscaping, orientation and "natural green" designs, with placement of windows and trees to optimize how efficiently your home is heated or cooled. First Choice Homes is a certified Minnesota Green Builder. We Build Right by maintaining a high Green Building 'IQ' to provide for some of the most comfortable, energy-efficient homes you'll find, including Energy Star®-Certified Homes which are up to 60% more energy efficient than the average home. We can provide you with information from start to finish about green building technologies and what you can do as a consumer. We'll help you understand how our building methods produce less waste during the construction process, create a tighter, more efficient, more comfortable home for you, and can even lower your ongoing heating and cooling expenses. And our expert team can offer advice on HVAC and product selections which are mindful of energy, water and other environmental considerations. Need to sell your existing home? We'll help with that, too! In addition to building top quality new homes, we also offer real estate services through St. Charles Real Estate, LLC(#20431022). Nancy is a licensed Minnesota Real Estate Broker (#20018226) with over 32 years of experience and a commitment to get the job done for you as quickly as possible. 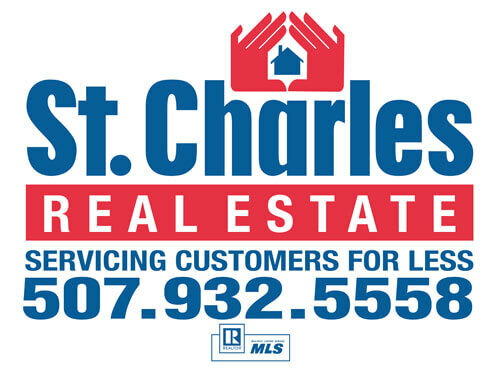 SERVICING CUSTOMER FOR LESS is a way of business at St. Charles Real Estate, where listing rates are less than you will find at other agencies. A certified appraisal is available on your home when listing and all listings go on the Multiple Listing Service (MLS) for maximum exposure to potential buyers. For more information, go to: http://www.stcharlesmnrealestate.com/. Looking for the right place to build the home of your dreams? Finding the perfect new home building site for your home design, budget, and needs is the goal. 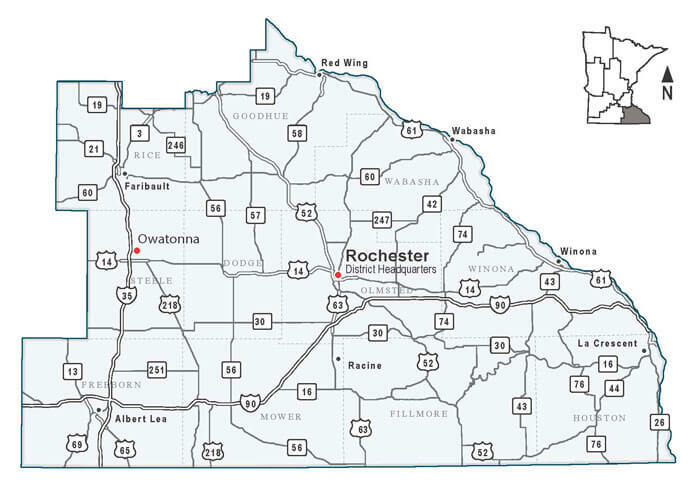 As a Multiple Listing Services member, St. Charles Real Estate can search each town and county in the Southeast Minnesota area for the perfect building site. If your desire is to build your new home in a country setting with all the amenities of city living, then check out Countryside Acres in St. Charles. It's private and secluded with easy access and close to the Golf Course and Jessens Park. Nancy is a member of: the Rochester Area Builders (RAB), Builders Association of MN (BAM), National Association of Home Builders (NAHB), Southeast Minnesota Association of Realtors (SEMAR), Minnesota Association of Realtors (MAR), and the National Association of Realtors (NAR). First Choice Homes is a member of the St. Charles Area Chamber of Commerce where Nancy served as a founding board member. For more information on the chamber go to: http://www.stcharlesmn.biz/.